Acute pyelonephritis is associated with considerable morbidity and potential for renal scarring. Pentraxin3 (PTX3) is a recently discovered mediator of inflammation. 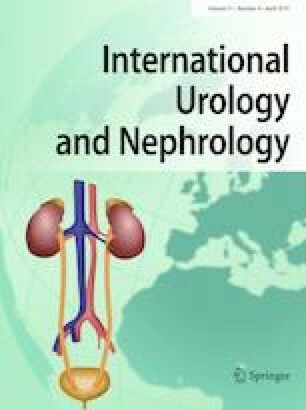 The objective of this study was to investigate the changes in serum and urine PTX3 levels in children who had a history of pyelonephritis and were diagnosed with renal parenchymal scar (RPS) and/or vesicoureteral reflux (VUR). The study included 88 children (31 males, 57 females) aged between 3 months and 18 years. The children included in the study were divided into four groups: VUR with RPS (Group 1), RPS without VUR (Group 2), VUR without RPS (Group 3), and healthy children without a history of hydronephrosis or UTI history (Group 4). After the initial evaluation, the participants were further divided into two more groups and re-evaluated: Children with RPS (Group 1 + 2), children without RPS (Group 3 + 4), children with VUR (Group 1 + 3), and children without VUR (Group 2 + 4). We found that urine pentraxin 3 (uPTX3) and uPTX3/Creatinine levels were significantly higher in the groups with renal scar with or without VUR than the ones without RPS [mean uPTX3, 3.5 pg/ml (min–max 0.0022–12.3668) vs. 2.2 pg/ml (min–max 0.0022–18.5868) and uPTX3/creatinine, 10.5 pg/mg (min–max 0.0035–51.1) vs. 5.8 pg/mg (min–max 0.0004–78.7), p < 0.01]. uPTX3 levels were not different among the groups with and without VUR. In addition, serum PTX3 levels were not different among the groups. We showed that urinary PTX3 increased only in patients with scarred kidneys. These results might be helpful to predict RPS due to past pyelonephritis. TB conceptualized and designed the study, drafted the initial manuscript. TB, HE, and YE carried out the initial analyses, reviewed, and revised the manuscript. AE supervised the statistics. SY made critical revision of the manuscript for important intellectual content. All authors approved the final manuscript as submitted and agree to be accountable for all aspects of the work. This research has been supported by Pamukkale University Research Fund (Number 2015HZL007). The study was approved by the Pamukkale University Ethics Committee (IRB number 60116787-020/549639).